The VA69M V3 CMYK model has a compact, 60% size that is popular and practical, it has an aluminium case and a PC layout. 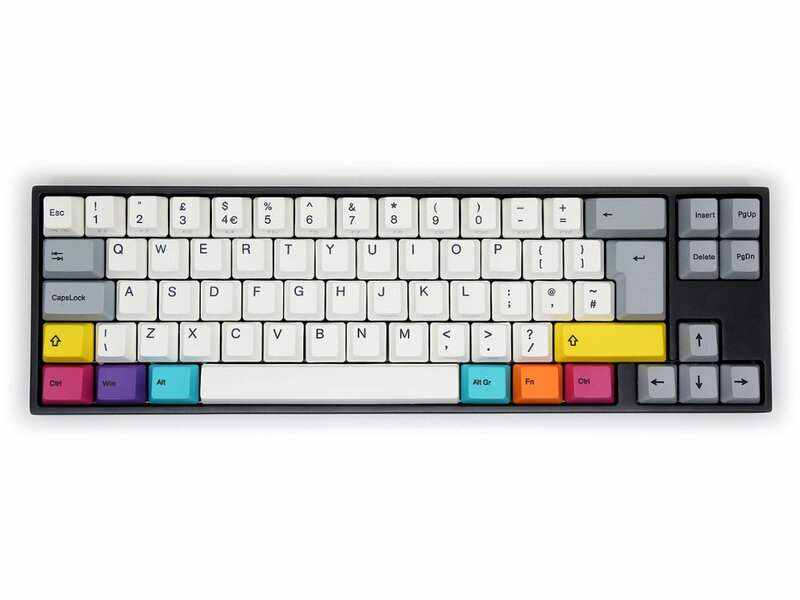 The keys are dark and light 'Vintage' style with multi-coloured (CMYK) modifier keys. At the rear of the keyboard is a USB Type-C port and a USB C to standard USB cable is included.